You Save: $4.73 (28%) Ships in 1 day. Soft Cover, 240 pages, 5.5 x 8.5. Travelers can drink in all the atmosphere, history, and beer that Munich has to offer with this updated guide to the best watering holes in the beer-drinking capital of the world. More than 70 of Munich's best beer gardens, beer halls, pubs, and late-night hot spots are listed in detail. The colorful histories behind them are included, along with detailed maps and instructions on how to find each place. A special chapter on Oktoberfest and other beer festivals make this guide as practical as it is entertaining. 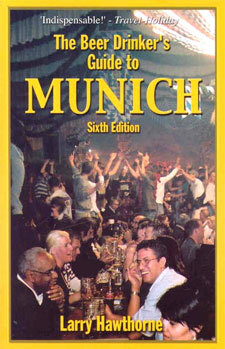 This revised edition pays for itself several times over with the enclosed beer coupons from some of Munich's most prized beer gardens. Its wisdom will make any trip to the Beer City a truly unforgettable travel experience.